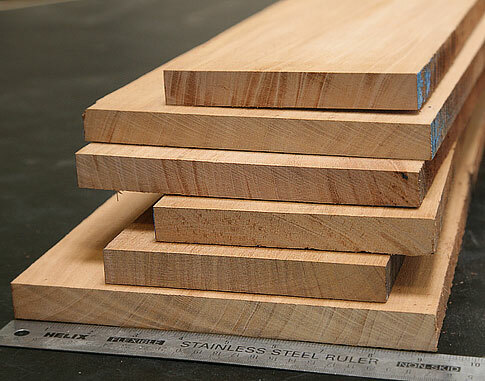 Also called Brazilian Cherry, and one of our more popular imported woods. Hard, very heavy, and very tough. The grain is commonly interlocked with a medium coarse texture. Somewhat difficult to work due to its hardness and weight, however Jatoba remains a popular choice for furniture pieces and other woodwork. Russett to reddish brown, often with dark stripes or streaks. Usually less than 100 feet with a trunk 24-48", but occasionally larger. May have swollen bases or buttresses and boles clear to 80 feet. 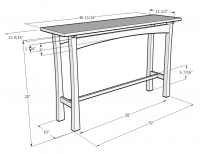 Furniture, cabinets, flooring, veneer, decks, outdoor furniture, trim, stairs, moldings. 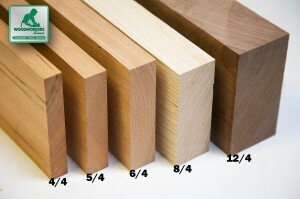 Jatoba/Brazillian Turning Squares: 1-3/4" x 1-3/4" x 12"